A few months ago I bought tickets to the New York Islanders hockey team for today since it was during the holiday break and a rare day game. When you buy tickets for anything over the winter, you never know what the weather will be. A nuisance snow storm began this morning. It was only about an inch or two, nearly not as bad as the snow in the photo above. The worst time to drive is during the storm since visibility is very poor and the roads have not yet been salted. All morning I was grappling over whether we should drive out to the Nassau Coliseum which is 20 miles away. The trip takes about 30 minutes in normal driving conditions. At about 12 noon the snow stopped and the sky brightened. We left the apartment at 12:30 and saw that it was snowing a bit harder and sticking to the ground. We went back upstairs and thoguht that we would make our final decision at 1 PM. It continued to snow so we decided not to go. The only consequence was that I lost the money that I spent on the tickets. I think I will phone the Islanders ticket office and ask if we can exchange these tickets for a future date. I doubt it they will do that, but it doesn't hurt to ask. 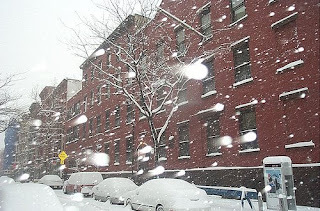 Since I have taken public transportation to work for many years now, I just don't have much experience driving in the snow, so I was a little apprehensive, since it was not essential that we go. We watched part of the game on TV which the Islanders won 4-2. Believe me our apartment does not look like the photograph above. Anyway, even though the paint job is two weeks away we had to clear through some of the clutter that has accumulated over the years. We also started to look for boxes to store things during the painting. It is almost as bad as moving. I found some books that Lee had since pre-school, so I donated them to the local public library. This is the reverse of my work situation where retired engineers bring their old books to the NJIT. We generally donate them to students since there are usually more recent editions available. I am sure that the Queens Library will either add them to their children's collection or sell them. 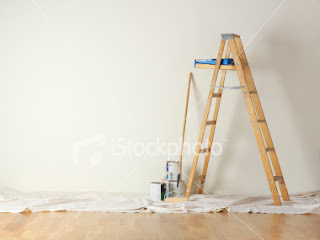 We called a painter today to make arrangements to paint our aparmtent in January. We took care of the bathroom and the kitchen last year, but the rest of the apartment needs to be painted since we hadn't done it in many years. The worst part of a paint job is putting stuff away in boxes and moving the furniture away from the walls. It is almost as bad as moving. I have found stuff that I didn't remember having. Over the past few weeks we have dicarded some junk that we never use any more. They will not be painting until January 15, so we have a few more weeks to discard some unneeded stuff. 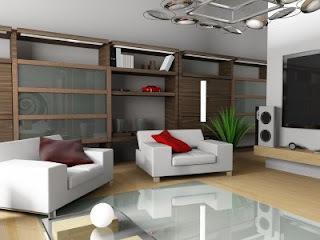 Over the years we have collected numerous records, video tapes, audio cassettes, and CDs. I will not throw those out. Believe me I am not looking forward to this, but it really has to be done. Who is the Biggest Elvis Presley Fan in the Family? 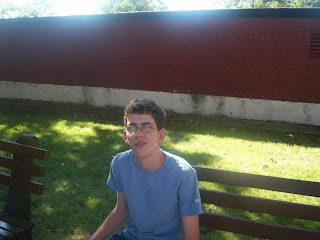 Lee must have been about 4 years old when we took him to the Westchester County Fair at Yonkers Raceway. he feel in love with a figurine of Elvis Presley. When he was 7 years old he sent a letter to Bob Shannon of WCBS-FM asking for Crying in the Chapel and dedicated it to his Mom and Dad. Elvis Presley music was featured at his Bar Mitzvah in 2001. When we visited Graceland in 2003 I noticed that most of the visitors were not yet born when the King died in 1977. Lee's grandmother gave him Channukah money which Lee spent to buy an Elvis Presely DVD. I think it is safe to say that he is the biggest Elvis fan in the family. We took the subway the Madison Square Garden to see the St. Johns University Red Storm basketball team play the University of Miami Hurricaines. Miami won 70-56. (Box Score). It was very disappointing that only 5,000 people came to see a college basketball game at the world's famous arena. We only paid $15 for a half decent seat while a Knick ticket would be three times as much to sit in the stratosphere. I guess there is not much of an interest in college basketball in New York City these days. St. Johns has not had a nationally ranked team since Lou Carnesecca retired in the early 1990s. 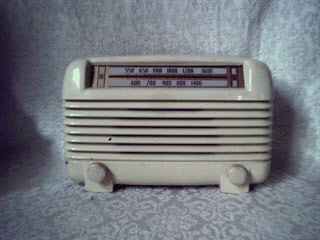 Since Seton Hall basketball is being heard on WABC tonight at 7 PM, Saturday Night Oldies was only on until 6:45 PM. I don't think SNO fan #1 will apply to become a distinguished professor at Seton Hall. (Frank, please let me know what time Google picked up this posting, thanks) The show started off very well with Mark playing Bob Dylan's Rainy Day Women #12 and #35. I was disappointed that he only played a very short clip of the interview he did with the late Eartha Kitt. I am sure that if this were a full show he would have played the entire interview. Anyone who missed the show can hear the recording of it thanks to Medium Wave Dx. Check the Yahoo Board for the details. I like to congratulate Pete Fornatale on the 26th anniversary of his Mixed Bag show which was heard on WNEW-FM, WXRK is now on WFUV from 4 PM - 8 PM on Saturday Nights. He is playing cuts from 26 artists that have been heard on the show over the years. 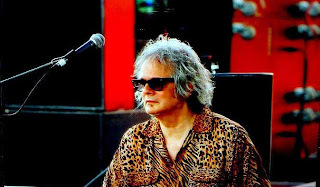 Tonight Lee selected Al Kooper's Rare and Well Done a 2 CD compilaton of his recordings. Al goes back to the 1950s when as a 14 year old he played with the Royal Teens who charted with the novelty hit Short Shorts. In 1965 he played the organ on Bob Dylan's Like a Rolling Stone. In 1966 Al fronted a group called the Blues Project which was also known as the Jewish Beatles. He left them to form Blood, Sweat and Tears. He was kicked out the group and replaced by David Clayton Thomas. He later played with Steven Stills and the late Mike Bloomfield on two Super Session albums. Kooper played on hundreds of records, including The Rolling Stones, BB King, Cream and the Who. He discovered the group Lynyrd Skinner and produced their first three albums. I have his biography called Backstage Passes & Backstabbing Bastards, Memoirs of a Rock 'n roll Survivor. Christmas is a strange day when you are Jewish and don't observe the holiday since almost everything is closed. I remember in the late 60s and 70s there was always a Jewish Singles Dange on Christmas Eve or Night. It was your last chance to get a date for new Years Eve. I didn't go to Ben's Deli today, but I'll get to that later. Right after breakfast I surfed the web as I usually do on non-workdays. Afterwards I decided to go to the local schoolyard to shoot some baskets with Lee. Since the last two days were warm, most of the snow melted, so we could play. We then took a quick ride to Forest Hills to visit my mom. She was frustrated since she couldn't go out for several days due to the weather. Karen brought her Lee's graduation photos while Lee received his Channukah gelt. When I got home I received a phone call from oldies radio enthusiast Cara Seiden who told me that Ben's Deli in Bayside renewed its lease for another 10 years. If you check my memo of November 27th, you will note that it was feared that Ben's would close, but they negotiated a new lease. The local multiplex was one of the few places open so we saw the movie. Seven Pounds with Will Smith which I highly recommend. It was better than the movies that we've seen recently. Since there was an basketball game we watched Jeopardy at 5 PM on WLNY from eastern Long Island. Yes, it is nice to have to times to watch Jeopardy. At 6:30 SNY reran the final ceremony at Shea Stadium on September 28, 2008. We were sitting in the upper deck, so we were able to see closeups of the players on TV. Today I received a letter from the New York Mets ticket office saying that on January 6th and 7th I will have a chance to buy a 15 game ticket plan to the new Citifield for the 2009 season. They said that 7 packs which I bought in the past will no longer be available. 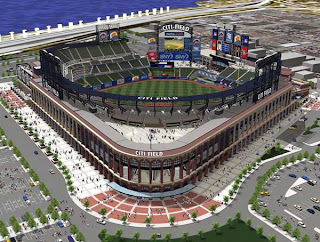 The seating capacity of Citifield will be only 42,000 while Shea Stadium was able accommodate 55,000 fans. This will cost me about $1200 for 3 tickets, but Lee will be graduating from high school and I will reach a milestone birthday. Sometimes you have to go for a buck in this world. The plan I want has 10 Saturday games plus 5 during the week. 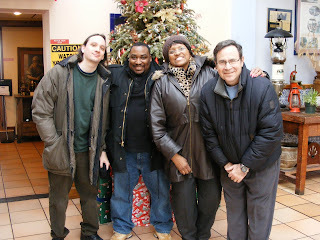 Yesterday I went out to lunch with Roz, Galen, and Aron and the Seabra Rodizio in Newark. They usually work on the night shift at the NJIT Library so I don't get much of a chance to see them during the academic year. For Monday and Tuesday of this week the library was open only from 8:30 AM until 4:45 PM so everyone was working at the same time. Please see the Wikipedia definition of Rodizio. It is a meat lover's delight. Why Destroy a Building after 24 years? 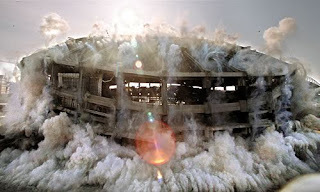 There was a story on the news last night that the RCA Dome in Indianapolis was imploded (see the photo above). 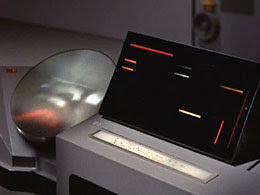 I did a little research and found out that it was first used for professional football in 1984. My concern is why is a necessary to destroy a building after just 24 years? Are aparment buildings, schools, or shopping malls demolished after such a short lifetime? It seems that society places too much value on sports. I guess the Indianapolis Colts must have threatened to move if they didn't get a new stadium. There is a new football stadium being built in the New Jersey Meadowlands for the Jets and Giants to be ready for the 2010 season. I must presume that Giants Stadium that was completed in 1976 will be demolished. Who benefits by these new stadia that are supported by the taxpayers? Likewise most of the funding for Citifield and the new Yankee Stadium came from New York City and state funds. Will the average baseball fan be able to get tickets? The only snow that I like is the type that is soft and fluffy. Yesterday's snow truned to sleet so the snow that is on the ground is very hard and icy. I couldn't take Lee to play basketball as we do on most Saturday mornings. I surfed the web in the morning while I listened to Bob Porter's Function, an R&B show on WBGO. At 10:30 we went to the local public library where I took out a book on the therapeutic uses of stem cells. At 12 noon we went to the local multiplex and saw The Day the Earth Stood Still which was a remake of a 1951 movie. We bought some Dunkin' Donuts and went home to eat them with hot chocolate. We saw the tape of yesterday's "Who Wants to be a Millionaire." At 6 PM we listened to Saturday Night Oldies (Hi Frank) which was only 45 minutes due to sports programming on WABC. We then watched the DVD of the Traveling Wilburys that I bought a few weeks ago in Greenwich Village. Everyone in the group was interviewed except for Bob Dylan. That is to be expected. I am now listening to Cousin Bruce on XM/Sirius. The weatherman was right as we got about 4 inches of snow with some sleet mixed in. It was not quite as bad as in the picture above. The boss let us go home a little early. It was supposed to be the list day a finals at NJIT, but since the school officially closed at 5:30 PM, evening exams were postponed until Monday evening. On a day like this taking public transportation is advantageous to driving. I will have to think of some new things to discuss. This has just come to mind. I have talked about different eras in my life but I haven't discussed my elementary and junior high school years. I will have to scratch my head and go back 45-50 years. I think I can do it. Here is Murphy's Law for Commuters: If there is a possibility of a train delay, it will happen. Since I am on the late shift today, i didn't have to be at work until 1 PM. At about 11:15 AM I arrived at the Main Street Flushing subway station. As I sat in the car waiting for it to leave, it was announced that the #7 was not running. They suggested we take the Long Island Railroad to Penn Station. That train came at 11:40 and arrived at Penn Station at 12 noon. I caught the New Jersey Transit train and arrived at work on time. 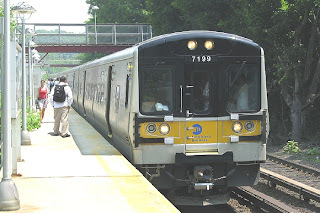 This is only the second time in 16 years that I had to take the LIRR to manhattan from Flushing. I didn't have to pay an extra fare. You just never know where and when there will be a problem on mass transit. Trust yourself,Trust yourself to do the things that only you know best. Trust yourself,Trust yourself to do what's right and not be second-guessed. Trust yourself,Trust yourself to know the way that will prove true in the end. Trust yourself,Trust yourself to find the path where there is no if and when. 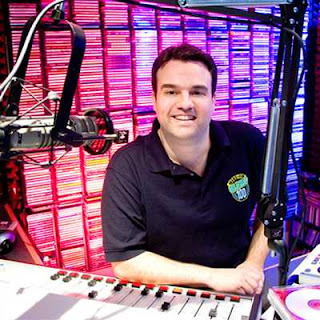 If you are an oldies geek Bob Radil's 60s and 70s show heard 6 PM - 10 PM Friday nights on WNHU from the University of New Haven is for you. 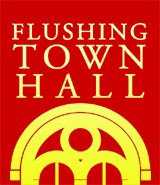 It can be heard in the New Haven area on 88.7 FM, but I of course must listen on the internet. 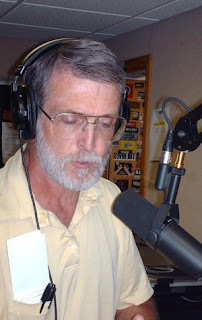 Bob plays requests that are sent to him via e-mail or through the oldies message board. Most of the songs that Bob plays are rarities which are never heard on any terrestrial oldies or classic rock station. Bob knows the music and the artists. I try to listen to at least part of his show on Friday nights. I get home about 6 PM, eat dinner and watch Jeopardy so the earliest I can access the show is 7:30. Bob, Mike Riccio, tom Natoli and perhaps a few others are known as the "Chart Guys". I am sure they ahve memorized every WMCA, WABC, and Billboard survey from the 60s and 70s. He is always friendly in interactions with listeners. Whenever I have met him in person, he was friendly to the people in the audience. He takes requests from his listeners. He play what we want. The playlists on his show are a good blend of familiar hits (even burnouts) and relatively obscure records. Cousin Bruce is a mensch. His show has become my first choice for radio listening on Saturday Nights. He really seems to enjoy his gig at XM/Sirius since he is not bound to a tight playlist as he was on terrestrial radio. For those readers of my journal who are not radio enthusiasts, his Wikipedia entry provides a good biography. 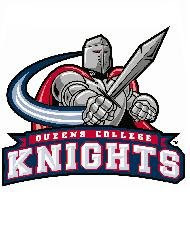 We decided to go to Queens College which is a 10 minute ride to see Queens College play St. Thomas Aquinas. Queens lost 63-62. they could have tied the game with 2 seconds to go but they missed a foul shot. Divison II basketball may not be the best quality, but you can't get entertainment for $5/ticket anywhere else. I guess the Saturday Night Oldies diehards would be ashamed of me for missing most of the show. I am not thrilled about hearing repeats of interviews, so I listened for a while and then watched the game. 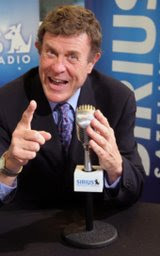 I am now listening to Cousin Bruce Morrow on XM/Sirius. There are some people that are just camera shy. I have only seen two photos of him on the web in all the time I have known him. What is this contraption that this man uses as his Facebook profile? The gentleman in this photo is David McMillan, now a librarian at Caldwell College. I first met Dave in Spring 2001 when he worked as a temporary librarian at NJIT. I am disappointed that my esteemed boss didn't hire you for a permanent position. 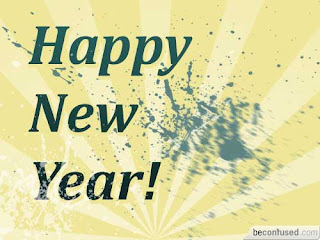 I am glad that things have worked out for you and wish the the best in your career and personal endeavors. You get only one guess, Dave. Since I have a long commute from Flush to Newark, I have time to read on the trains. It is ideal to read a book at long periods of time, but for me this is impossible. At times, I can only read 10 pages of a book and then have to put it down. Anyway, when I go to the small public library in my neighborhood, I don't even touch a computer and just browse the shelves for a current book. A week or so ago I picked up Bill O'Reilly's biography as seen above. I consider myself an apolitical person and rarely if ever watch Bill on the Fox News Channel. You can find more out about Bill O'Reilly by reading Dave DuBrow's World Journal File. On the front cover you can see young Bill reading a prayer book while on the back cover he is seen with Sister Mary Lurana who was his teacher at St. Brigid's School in Westbury, Long Island. Bill later attended Marist College. He traces his journalistic career and constantly refers to his Catholic upbringing from his parents and his teachers. He projects his sense of humor throughout the book which is a relatively easy read. He does not use scholarly language, but does not insult his readers either. I have about 50 pages to go which I might not finish until Saturday. Since I am working late tomorrow, I bring my Radio/CD player on the trains. Friday is my Sports Illustrated day, so I may not get to Bill's book until Saturday. Dave will likely review the book in either his World Journal File or his new personal journal. Social networking has become very popular over the past few years among people of all ages. I attended a conference where a librarian talked about how she used Facebook to develop relationships with students. She mentioned that it works better to reinforce friendships that you already have rather than creating new friends. When it began Facebook was available only to academics. One had to have a .edu e-mail to join, but that changed to allow everyone to join. I made friends with many NJIT students even though I did not "know" them. Yesterday a student asked to see me and as you approached my office she seemed impressed that I knew who she was. I did say I made friends with her through Facebook. I also made friends with several of my students from Freshman Seminar. People I don't even know. Other people take the expression "friend" literally. Mark and Richard who are librarians at other New Jersey universities are also Bob Dylan fans. We all must be careful about what we write on Facebook since anyone can see what was written. People do have minor conflicts all the time. I think it is quite immature to de-friend a person after a difference of opinion about something. This has happened to me a few times. 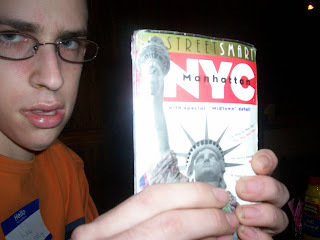 I wonder if my favorite nudnick still reads this journal. 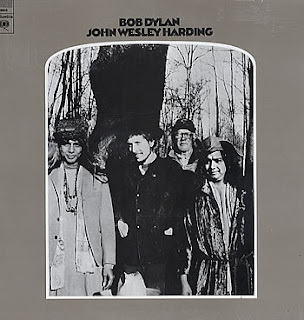 There is a line from I am a Lonesome Hobo from the John Wesley Harding album that applies to an incident yesterday. And I've served time for ev'rything'Cept beggin' on the street. Lest you wind up on this road. That guy on the upper east side seems to have some problems with me. I was willing to reach out to him, but he just has no dignity or class. I guess I should congratulate myself on my dissociation from him. Lee was absolutely thrilled to hear that this week's theme of Bob Dylan's Theme Time Radio Hour is "Street Maps". He brings his mpasw whenever we leave the house. At yesterday's "Meet and Greet" he insisted that I take a photo of him with his map. Below is the set list from the show. 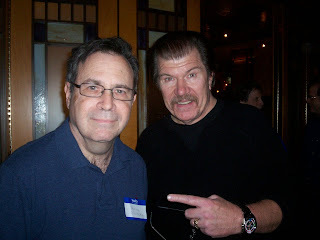 Pat St. John (see yours truly with him in the second photo) - He has done part-time work from WCBS-FM but is best known for many years at WPLJ and WNEW-FM. 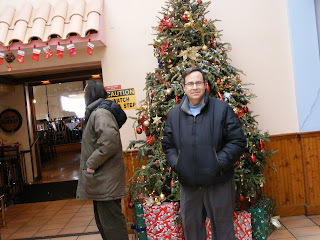 Jeff Scheckner, the main organizer thanked Frank D'Agostino, myself and Alan Berman for helping to organize the event. Frank who documents every song on the show thanked me for helping him identify some instrumentals that Mark Simone played. He told everyone that I was a big fan of Bob Dylan. I would certainly say that this event was a great success. Photos may that I took may be found at http://picasaweb.google.com/Bigtownman/OldiesMeetAndGreetAtBenSDeli# Many other attendees took photos, and I will post the links in this journal. Last night we saw the Hendrik Meurkens New York Samba Jazz Quartet. This group featured Henrik on harmonica with a bassist drummer, and pianist backing him up. Most of the time a harmonica accompanies a vocalist. Stevie Wonder and Bob Dylan are prime examples. But the harmonica was the lead instrument in this quartet. He sounded great. I vaguely remember that years ago (1950s-60s) there was an instrumental group known as the Harmonicats. Around the high holidays I wrote in this journal that an orthodox temple near us on Union Street and 33rd Avenue closed about 5 years ago and is now holding services in the community room of the adjacent nursing home. Today, as I passed by that location on my way to work there was a sign on the building saying that it was a Korean church. I don't know if they are renovating the old building or demolishing it and erecting a church on the same site. Lee's Bar Mitzvah was held in 2001 at Temple Israel of Jamaica at 188th Street and the Grand Central Parkway. This congregation lost membership and merged with another reform temple in New Hyde Park. The building was sold to a Muslim organization who converted the building to a mosque. It seems that younger Jews are not staying in Queens. They must be moving out to the suburbs. At least 2 synagogues have closed an sold their buildings to other religions. It's one of those days when I just don't want to write. Everyone in the family is fine. I think there will be a very long entry written on Saturday night. For the first time ever I saw a contestant on Jeopardy who I know. Judy Mermelstein nee Judy Goldberg was a classmate of mine at Forest Hills High School. I didn't know her well back in 1967, but we became reacquainted through Mike Seidman a few years ago. She was at a party held at Mikes house a few summers ago. Judy won $38,401 on Jeopardy today with the chance to win more tomorrow. When Alex Trebek interviewed her tongiht, she said she appeared on the old Jeopardy with Art Fleming in 1972. Transporter 3 - Real or Fantasy? Since it rained all day today we went over to the local multiplex to see Transporter 3. Here is the synopsis taken from the Internet Movie Database. Frank Martin is sitting in a car on a bridge over a river. His adversaries pushed him and the car into the river. He is then seen breathing air out of the tires and using the tire air to inflate a raft he has in the trunk to lift the car out of the water. He then gets a friend to help him start the car after it had been immersed in water for a long period. He then drives his car (the tires seemed OK) about 100 MPH to catch up with the thugs. From there we walked by another rarity, a Barnes and Nobles bookstore. Karen bought here cats calendar and a Jeopardy calendar. If you check back to my June 2008 entries, you will see that we went to the Rock and Roll Hall of Fame in Cleveland then and in 1998. Just this week an annex to the Rock Hall opened in Soho (in lower Manhattan). Lee insisted that we go today. As you walk in there is a wall with bricks listing all of the inductees. When an excerpt is heard the brick of the inductee is illuminated. The next stop is a short film featuring clips from several of the inductees. They even played Dylan's Maggies Farm, my favorite. You are then given a "Walkman typoe device" As you approach an exhibit, the music from that artist is played. You must stand in the same spot to hear the entire song. There was a small exhibit featuring the Clash. We enjoyed our time at the Rock Hall Annex, but it was very small. We felt that $26 admission was high when we completed the tour in just under two hours. I was able to get a discount since I joined the Rock Hall when I was in Cleveland last June. Today is known a Black Friday when everyone goes shopping. There was a tragic incident in nearby Valley Stream where a a Wal-Mart employee was literaly trampled to death by shoppers breaking down the doors trying to get bargains. What was especially sad was that the agressive shoppers actually jumped over the medics who were trying to save the poor man. Anyway, I wanted no part of shopping malls today, so I spent some time reading. Let's start out with John Lennon by Philip Norman. There have certainly been numerous biographies over the years written on the group and its individual members. This current tome with over 800 pages certainly presents some revelations that I never read about or just didn't remember from previous accounts. This volume was certainly well researched and provides details of Lennon's personal and professional life. This book is so heavy that I couldn't schlep it on the subway, so I had to read it at home. I have about 150 pages to go. 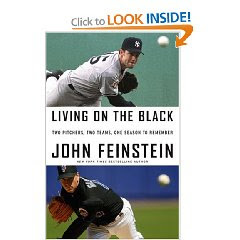 Noted sportswriter John Feinstein wrote this book about the pitchers Mike Mussina and Tom Glavine during the 2007 season. This season was disappointing for both. Glavine won his 300th game during the season for the Mets but collapsed as the Mets blew a 7 game lead in the National League east with 17 games to go. In the last gaem of the season he gave up 7 runs in the first inning. 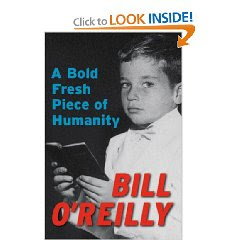 Just today, I went to the library and picked up "A Bold Fresh Piece of Humanity" a biography of infuenetial TV personality and author Bill O'Reilly. 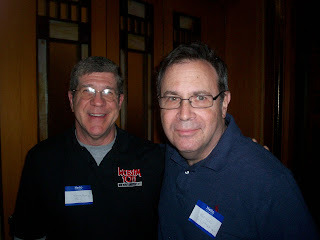 For more information on Bill I suggest my readers check out Dave DuBrow's World Journal File. 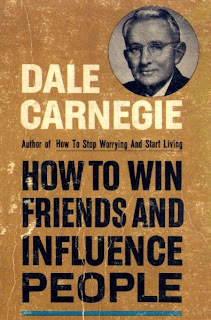 I hope that Dave with his very busy schedule will find time to read it. Please note, that Ben's Deli has several locations on Manhattan, Queens and Long Island. The situation described in this article from the Queens Courier applies only to the Bayside restaurant. The 15-year run of Ben’s Deli at the Bay Terrace shopping center will end on the last day of January, now that nearly two years of negotiations have failed to produce an agreement between the kosher deli and landlord, Cord Meyer development.The first word of the impasse came on Friday, November 14, when Ben’s released an “open letter,” saying that the deal was “killed,” with Ben’s spokesperson Scott Singer declaring, “Cord Meyer pulled the plug at the eleventh hour.”One week later, Cord Meyer issued a statement in response, “to provide the patrons of our Bay Terrace Center and the community at large with the facts relating to that matter and to assuage disappointment and concerns created by the unfortunate characterization of events.”“We can sincerely say that in the 104-year history of our company, we have never made a greater effort to accommodate a tenant or spent more time and thoughtful effort to bring a lease transaction to fruition,” they said. For all the disappointment, Singer seemed conciliatory. “I can understand the landlord has to make a profit,” he said adding, “Negotiations get contentious, sometimes.” He insisted that it was “just about business,” declaring “Nobody ever said anything to me to make me feel otherwise.”Kosher deli lovers can take comfort that both parties are actively looking to fill their needs.Singer revealed that Ben’s is actively searching out a site nearby. Cord Meyer also declared they were “committed to our patrons and shall continue to strive to see that a kosher food menu will be available,” from another tenant. 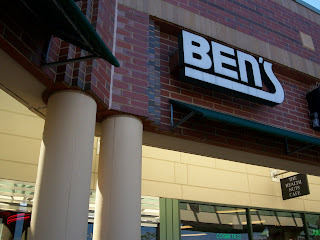 But in Bay Terrace shopping center, it’s bye-bye Bens. 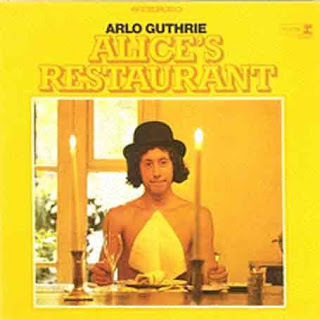 For many years Alic's Restaurant by Arlo Guthrie was played once a year on WNEW-FM. Since that station no longer exists, the tradition was continued by WFUV. I heard it today at 12 noon. I felt better when I woke up this morning, so I went to work. It was pretty slow anyway and they let us go home 2 hours early. I have taken one 500 mg tablet of Vitamin C every day for years. My colds are usually mild and take their course over a shorter today. 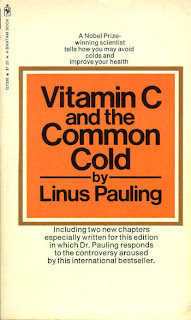 In the 1980s I read the book Vitamin C and the Common Cold by Linus Pauling. He took several grams of it every day and lived to over 90. Dr. Pauling has the distinction of winning the Nobel Prize twice, for chemistry and for peace. I came down with a cold. There is nothing much you can do, but let it take its course. Tommorow is another day. 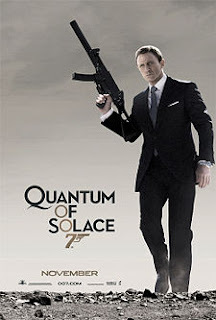 It was off to the multiplex today to see Quantum of Solace, the latest in the series of James Bond films that goes back to 1962. I checked the Wikipedia entry for James Bond films and if I remember correctly, I've seen every Bond movie over the years. I must say that I prefeered the earlier movies starring Sean Connery as 007. My favorite has to be Goldfinger. We were disappointed because it rained 4 times this season when we wanted to see college football games. 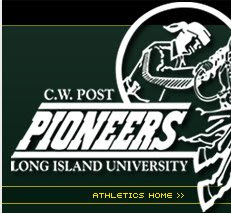 It was unseasonably cold today as we drove out to CW Post in Brookville, Long Island to see a Division II basketball game. CW Post killed Millersville College 105-65. Dylan very often slurs his word when he sings, so it often takes a while for me to make out the song, especially the newer ones. This was the first time in several concerts that I have been where Dylan played the guitar. I just loved the harmonica solos. Dylan has toured almost continously since 1992 with breaks duing the holiday season. Last night's concert is the last in this leg of what is known as "The Never Ending Tour." In 2008 we saw Dylan twice, but you never know when he could stop touring since he is 67 years old. 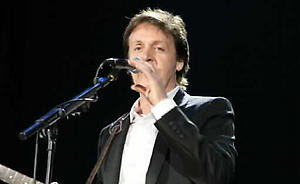 Perhaps he will collaborate with Paul McCartney in the months to come. Tonight is the big night seeing Dylan at the United Palace Theatre in upper Manhattan. Since I have plenty of vacation time, I decided to take today off so I would not be tired when seeing the concert. More tomorrow. Check out this story! What a combination! The world's greastest song writer with the worlds best singer. I suggest that they do not sing together it would be like pickles and ice cream; good separately, but terrible together. I suggest that Paul do an album with him singing Dylan songs with Bob playing in the background. Dylan could sing some Beatle sngs with Paul playing in the background. GO FOR IT! In a nutshell Cousin Bruce Morrow was a DJ on WABC for many years. Please click on the link for his entry in the Wikipedia. 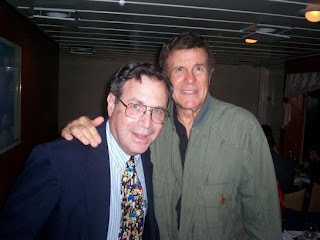 From the 1980s until 2005 he was heard on the legendary WCBS-FM. In the stupidest move in radio history he was let go in June 2005 when the station was hijacked by some morons who thought the audience was too old to appeal to advertisers. He certainly landed on his feet by getting a gig on Sirius Satellite Radio. Since I subscribe to the XM online stream I was not able to hear him until last week when the merger was completed. For the first time tonight I am listening to him on satellite radio. The photo above was taken with yours truly and the Cuz on the WABC Cruise in June 2007. 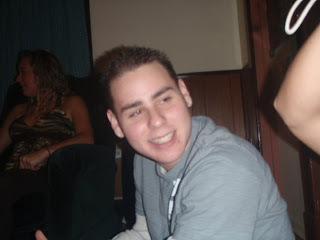 The handsome young man in the photo above is my nephew Adam Feuer. I just read in his Facebook account that he will seeing Bob Dylan in concert tonight at SUNY Oneonta where he is a sophomore. I don't think he is as big a Dylan enthusiast as his cousin Lee. I will have to ask him the next time I see him what is his favorite Dylan song. I am glad to see that interest in Dylan transcends the generations. I listened to WFUV this morning, but when I got to work I checked the radio message boards and found out that WCBS-FM had returned to regular programming. A devoted listener to oldies radio speculated that WCBS-FM was just promoting its Christmas music CD. A clarification was made on the air today. WCBS-FM will play all Christmas music on Monday - Friday 7 PM - 12 midnight only. I will listen to WCBS-FM at other times of the day. While perusing some radio message boards tonight I found out that WCBS-FM is playing all Christmas music. Objectively, I think it is much to early to start doing this, but I guess the powers that be in radio land think it will attract more listeners and retain them after the holidays. If any CBS owned station should go all Christmas it should be Fresh 102.7. I admit I am not the most religious Jew in the world, but I have a great appreciation for my heritage and how my ancesotrs suffered. Christmas celebrates the birth of Jesus Christ and Jews do not believe that he is the messiah. Much of this music is seasonal rather than religious in nature, but I still prefer listening to an eclectic mix of music at all times of the year. thus, for the next 6 weeks WFUV will be my #1 station as it was during the Jack years. I dare not post this to any radio message boards. I would probably be beaten to a pulp. I was very glad that it did not rain today. Lee and I went out to play basketball early in the morning. After that Lee joined some of his buddies for bowling. I got a phone call from my mother saying that she was a little under the weather. She has a bad cold that she just can't get rid of. She asked me to come over to buy her some items at the grocery store. She only lives 10 minutes away. After I did some errands for her, I did my little hike in Forest Park. The NJIT basketball team started out where they left off last season by losing its opener to Manhattan College 56-32. They have now lost 34 games in a row to tie the NCAA record for consecutive loses. I am just stating the facts here. I was disappointed when I accessed WODS-Boston to hear the Lost 45s with Barry Scott. They were already playing all Christmas music. It is just too early for that. Instead of going to a football game yesterday, we went to see the movie Soul Men. This film marked the final appearances of Bernie Mac and Isaac Hayes who sadly passed away recently. The story was a little silly and Bernie Mac and Samuel L. Jackson were not professional singers. Anything has to be better than sitting home. 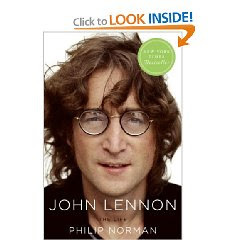 Last week I took out of the library a new biography of John Lennon by Philip Norman. Since this book is over 800 pages, I just can't schlep it on the subway to and from work, so I must read it at home. I was able to spend some time reading it yesterday. I am up to page 169. In the evening I met up with radio fiend Jonathan Binstock from Maryland whom I've known since the mid 1990s. Back then we were both regular posters to the Prodigy radio message boards. Prodigy was an online service in the pre-Internet era. Once a year he comes to a lawyers convention and we meet there. I have hooked up with him when I have gone to American Chemical Society meetings in Washington, DC. 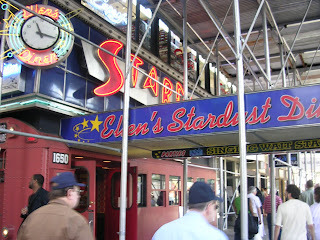 We had dinner at Ellens Stardust Diner in the theater district. We held a Meet and Greet of Oldies enthusiasts there in June 2006. This is the fourth Saturday this Fall that it has rained preventing us from seeing a college football game. There is that old saying that everybody talks about the weather, but no one does anything about it. Once a week they would play and rotate the location. During the Christmas season my father had to work late every night so they would play at our house because my mother didn't want to leave my sister and me alone since she was afraid we would fight. The entire group with their husbands came to my Bar Mitzvah in April 1962. Betty Cohan had two daughters about my age. During my senior year in high school Roy and I met her older daughter Fran outside her apartment on Saunders Street walking her dog in the morning. In the late 1990s we reconnected on a chat of Forest Hills High School graduates from the late 1960s. We had a mini-reunion in Tenafly, NJ in 1998. Sadly, Fran died of breast cancer in 2000 at age 50. Shirley Dule lived diagonally across the street from us in Rego Park. Since she had a problem schlepping the Mah jongg set, I would come over to pick it up and bring to my house when they played. Her husband Irving became friends with my Dad. I distinctively remember he took us on a fishing trip to Jones Beach. Irving Dule was a coach in the Forest Hills Little League, though I never played on one of his teams. I was never a very good athlete anyway. He also liked to tinker with electronics, so whenever we had a problem with our TV set we would call him over to fix it. Shirley and Irving had two daughters Ellen and Linda. Sadly, Irving died of cancer in 1971. About a year later Shirley relocated to Arizona. I believe a few years later both of her daughters moved out there. Very recently, I reconnected with Ellen through Facebook. Evelyn Mauer had a son about a year older than I named David. I remember that Evelyn recommend the photographer that we used for my Bar Mitzvah. In 1966 I would run into Evelyn on the Q60 bus when I worked as a volunteer for Memorial Hospital. Sadly, these three ladies passed away within the last few years. Eleanor is the mother of Roy who has been my friend for over 40 years. One of these days I'll have to write an entry about him. My Cousin Billy Slutsky married Muriel's daughter Barbara in the early 1970s. I remember my mother was annoyed back then since Joyce and I were not invited to their wedding. Billy and Barbara were inseparable while they were dating, but their marriage didn't last very long. Both of them have remarried. In recent years Mom played Mah jongg with some women at her pool club. I never became acquainted with any of them. This season, these women did not rejoin the pool leaving my mother without a group. Why is Mah jongg only played by women while other board games are not "gender specific."? The New York Radio Message Board reports that Music Director Jeff Mazzei was let go from the station likely for economic reasons. This is quite unfortunate since he worked so many years for America's greatest oldies station. I believe that he was responsible for picking the music that was played on the station all these years. 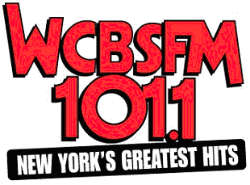 During the Jack years (June 2005-July 2007) programmed the oldies on WCBS-FM HD2. One of the reasons I bought an HD radio was to get that station. I'll be honest to admit I didn't think would return to oldies which were re-branded as classic hits. I certainly wish Jeff well in his future endeavors. Readers of this journal may remember that back in May, I decided to subscribe to the online version of XM Radio. Since that time there has been much movement with its merger with Sirius. Today I am able to get many more channels as a result of this merger. I was able to work in my office today so I listened to the Elvis Presley Channel and Classic Vinyl which came from Sirius to the new merged entity. There are other channels I would like to hear. I believe that stations for the 60s, 70s, and 80s have merged. If so, I will be able to hear Cousin Bruce Morrow Saturday nights at 8 PM. Gee, if the Saturday Night Oldies superenthusiasts read this, I’ll be beaten to a pulp. 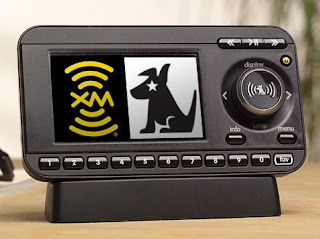 Dave DuBrow’s World Journal file reports today that XM/Sirius is in very bad financial shape. 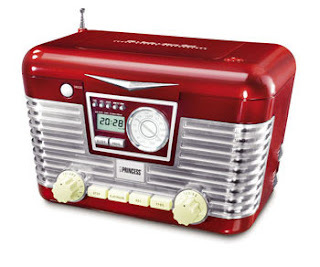 This is one of the reasons I’ve resisted the temptation to buy a radio.